Risparmia $40.00 scegliendo ora questa opzione. 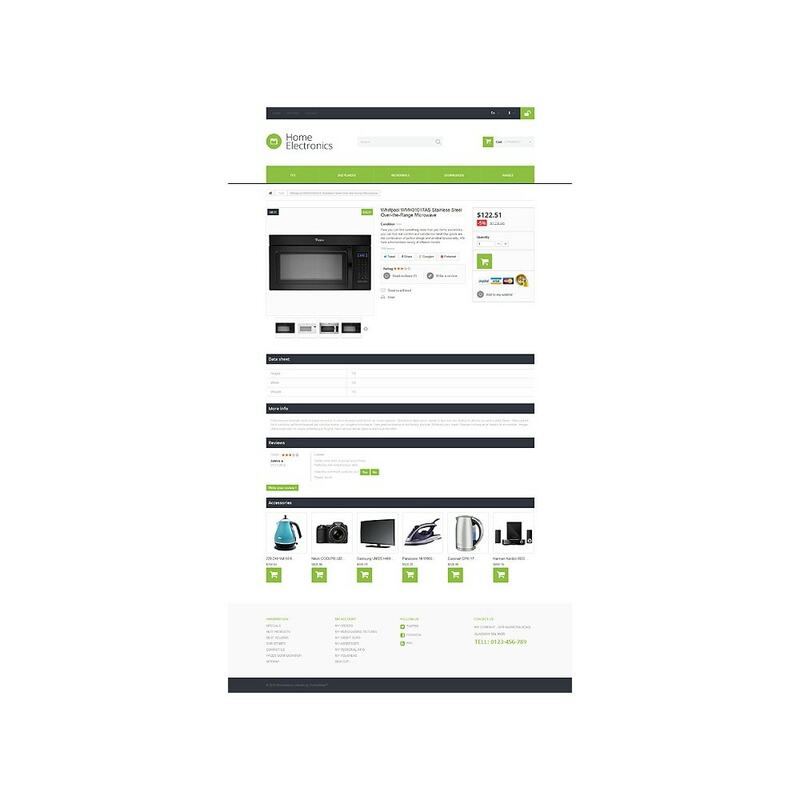 This clean theme is a perfect fit for home electronics stores. 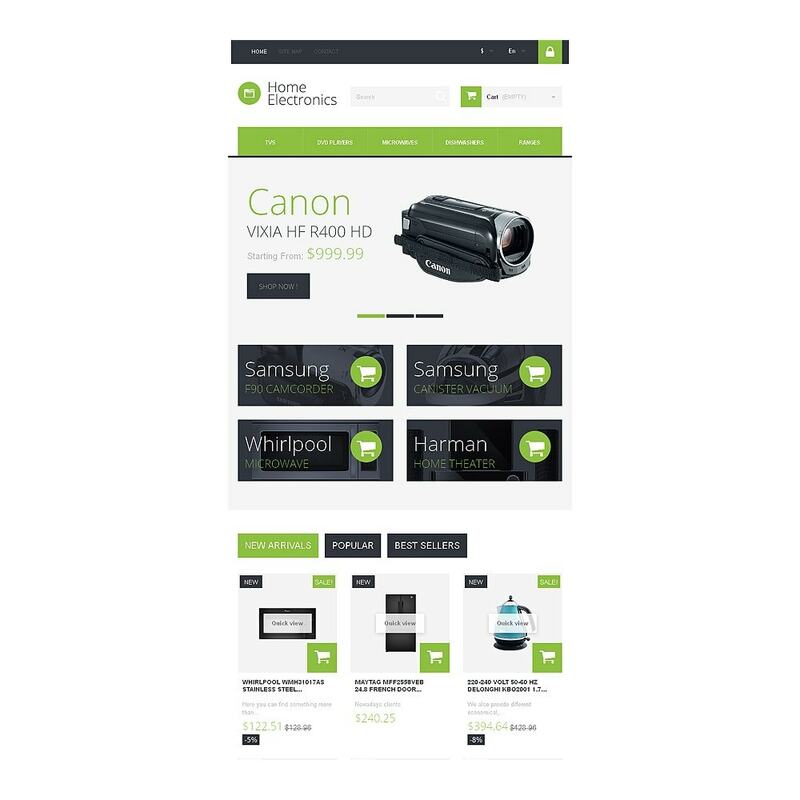 It is extremely easy on the eyes as the author uses white background and guides the user through website pages with the help of green hues. 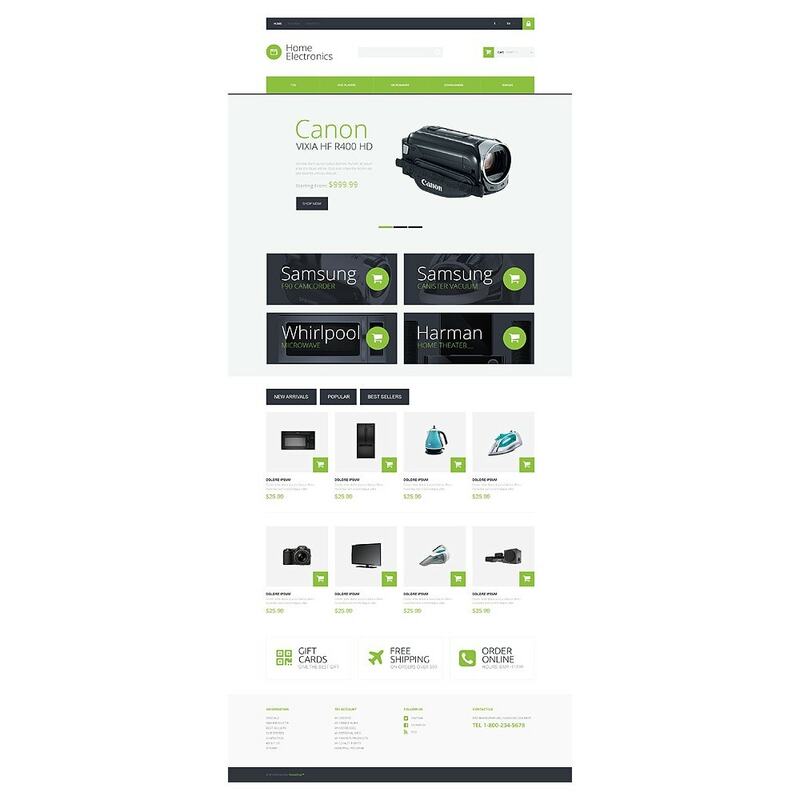 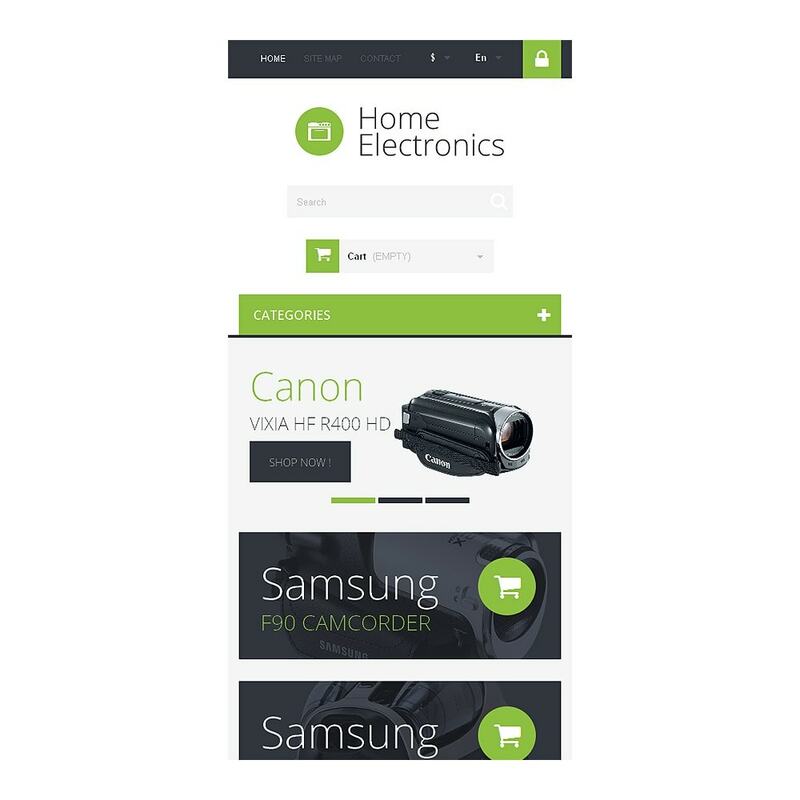 HTML plus JS animation of Electronic Store PrestaShop Template makes this journey more engaging. 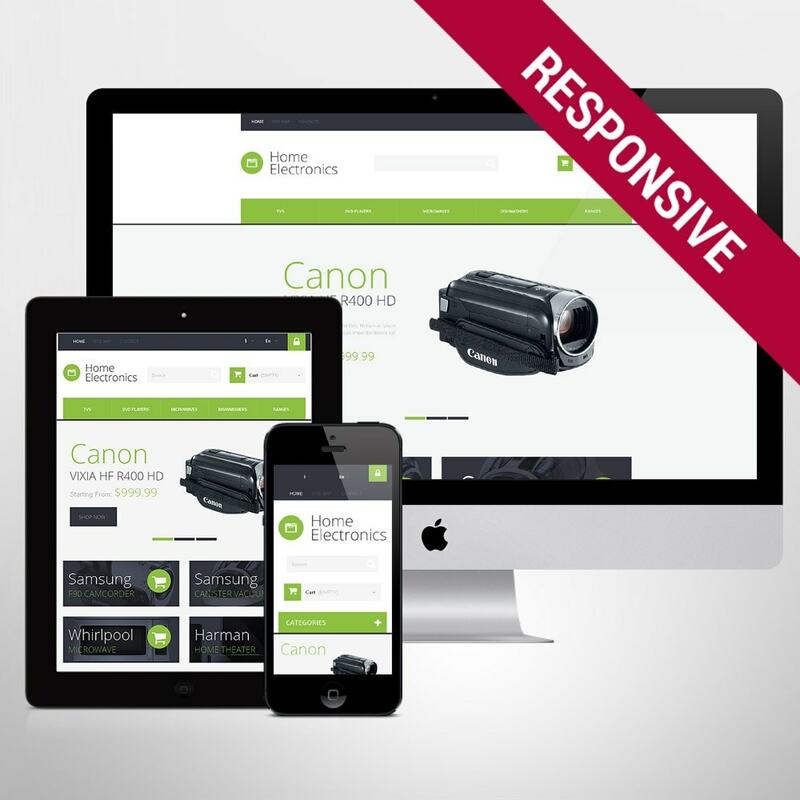 Slider demonstrates the latest models available in stock. 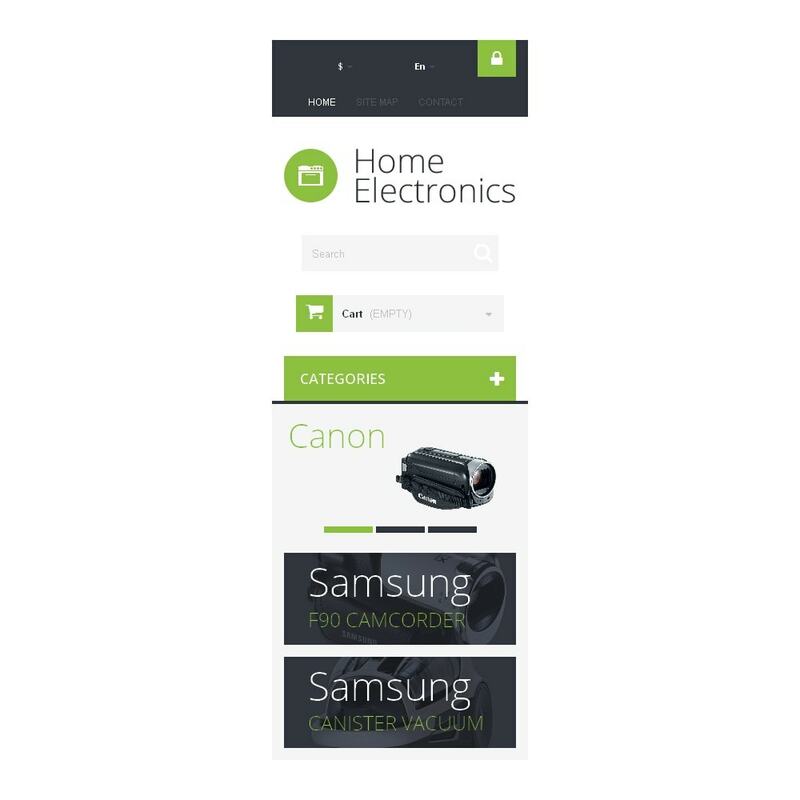 With tabs you can place more products right on the home page, which is good for conversion. Choose this theme for your home and office electronics or mobile phones stores.